A property inspired by the countryside lifestyle of England, Yorkshire Inn offers all contemporary facilities and services. 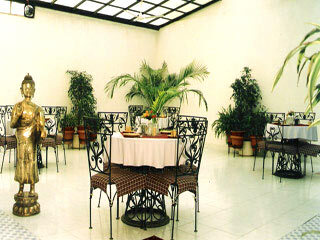 A beautifully laid out garden welcomes guests at the entrance while the interiors and decor of the hotel exude warmth. Yorkshire Inn is located in the heart of Mount Abu, just one kilometre away from the bus stand. Less than a kilometre away from tourist places like Dilwara Temple and Nakki Lake, the hotel provides easy access to all tourist places in and around Mount Abu. Parking, Currency Exchange, Backup Generator, Travel Counter, Laundry Facilities, Restaurant, Breakfast Services, Security Guard, Airport Transportation, Doctor on Call. DVD Player, H/C Water, House Keeping, Cable/Satellite TV, Iron/Ironing Board, Toothbrush/Razor on Request, Wakeup Calls, Attached Bathroom, Air Conditioning Room. User reviews for "Yorkshire Inn Hotel Mount Abu"